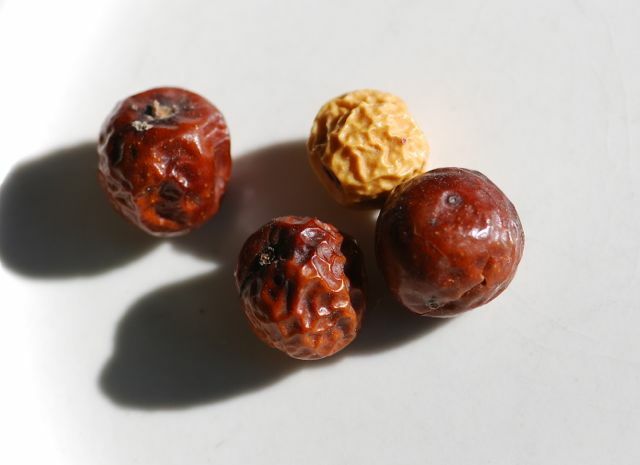 Our mystery seeds from last week were inside the dried fruit (drupes). They were from a chinaberry tree, Melia azedarach. As the name suggests, it is originally from Asia. 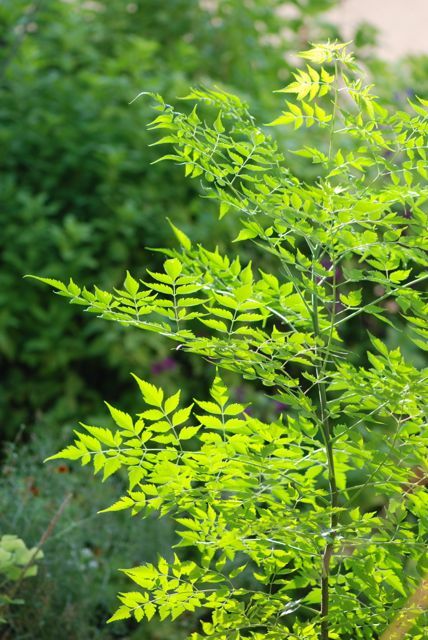 Although the chinaberry tree has lovely, lacy foliage, it is considered to be an invasive weed in many states in the Southeast because it competes with or shades out more desirable species of plants (Texas, Florida- see video at website, North Carolina). 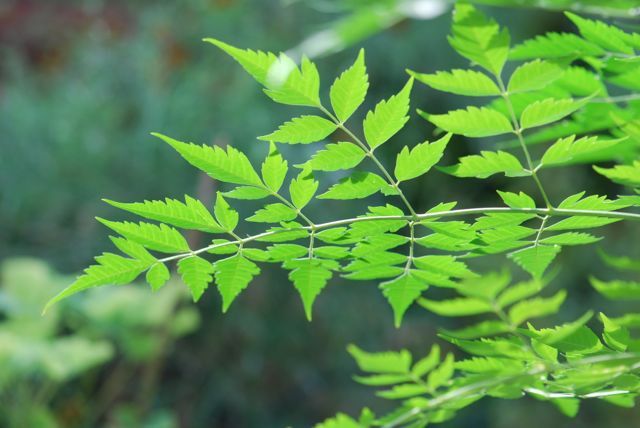 Chinaberry trees are deciduous in the winter. The leaves give off a musky or pungent odor when crushed. The flowers grow in clusters, as do the fruit (drupes). Chinaberry fruit are poisonous to humans and many other mammals. Sometimes whether or not to plant a certain species isn't as clear cut as one would like. Weedy species tend to be easier to grow and thrive under poor conditions. Still, it pays to be able to recognize undesirable plants, as well as desirable ones, and try to plant natives as often as possible. What do you think? I agree about planting native species, perhaps nurseries should only stock these. But why is it that the non-natives are so pretty? Love the look of the chinaberry. Here in the NW we have scotch broom with its beautiful yellow color, but man does it take over everything if not controlled. It is hard to predict how a new plant is going to act until it is already too late, sometimes. How do I plant fresh china berries. Do I take out of pod while wet or sundry or plant entire thing, or soak in water or how??? A china berry tree came up on its own in my yard in Garland, Texas. I first noticed it about 3-4 years ago as a small "sprig". Now it is 35' tall and beautiful. It grew up through some evergreens and the trunk is about 12" in diameter and straight as an arrow, no branching until the 25' level. I have started 3 others from seed or small shoots as soon as I can properly dig them up and replant. Love the look, it is the only one in within a one mile radius. It's a beautiful tree with usable wood. Fruit can be eatn by some birds. It's a look-alike of the famous Neem. Interesting. Thanks for letting us know.